Hey, why no Let's Anime posts lately? Well, it's not because I don't have goofy stuff to write about. Nope, I've been working on getting things ready for the upcoming Anime North, which is this weekend. If you're in town you should come on by! It's a great show full of events, guests, dealers, costumes, dances - check the website for full details - and I'm doing some panels and things. Three-day passes have already sold out but you can still get one-day tickets for Friday, Saturday, and Sunday. So what am I up to at AN this year? Friday at 7pm Shain and I will be holding down the Mr Kitty table at the NOMINOICHI, Anime North's garage sale swap meet event. It takes place in the Convention Center, hall F. We're giving our closets one final cleaning and that means YOU get to take home our old anime VHS, anime posters, books, manga, and anything else we can get rid of. Of course Friday at 10pm in the Plaza Ballroom in the Doubletree is Anime Hell. This two-hour freeform clip show event has been a mild amusement to Canadian audiences for more than six years, and this year's show promises to be just as confusing and laff-packed as previous installments. 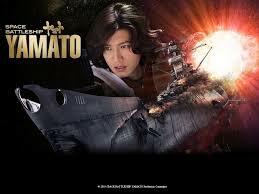 Followed at midnight by our feature film presentation, 2010's SPACE BATTLESHIP YAMATO. This screening features special custom subtitles unavailable anywhere else! Saturday at 1pm join Helen McCarthy and I as we take a look at the animation of the god of comics, Osamu Tezuka's animation legacy. It's happening in International B in the Doubletree and will be packed with clips from the thirty-plus years Tezuka created animation to go along with his voluminous manga output. And yeah, some of it gets kind of peculiar. At 3pm on Saturday in the same room Mister Kitty brings you Stupid Comics - LIVE! Shain and I are bringing our popular web feature to real life as we highlight some of the lowlights of our investigation into the world of bad comics. It's guaranteed to shock and amuse, especially when we get to the bad wanna-be manga. And on Sunday at 1pm, again in International B I'll be taking a look at Spooky Classic Anime, the kind of cartoons your parents wouldn't let you watch in the 60s and 70s, except if you had been able to watch these cartoons in the 60s and 70s you'd be Japanese and it would be OK.
Don't be afraid! See you at the show!